The Advanced plan gives also your website the credibility of the Basic Plan, however it is not for free. It costs $30 per month, so what can you expect? The article on this page is based on the experiences of members who are using the advanced plan. I have had sporadic sales from my website, scalderphotography but my Search Engine Optimization was sketchy at best. I advertised on Google ,I read several giant boring books on the subject resulting in extremely good sleep....... I also completed all the suggested tasks to optimize my site. As I mentioned, I have had intermittent sales over the last 2 years but nothing seemed to increase the traffic to my site. When Jan invited me to join, I saw an excellent opportunity to promote my photography. After joining in the basic mode and reading all Jan's plans and careful observance, I decided on the Advanced subscription. As you can see from the Google Analytics, the visitors to my site have increased dramatically and my sales have increased enough in the last two months to pay for my subscription for the YEAR! Trudie Bell joined Photographers' Selection in December 2011 and has a subscription to the advanced plan. "I have had a website through Photoshelter for several years. 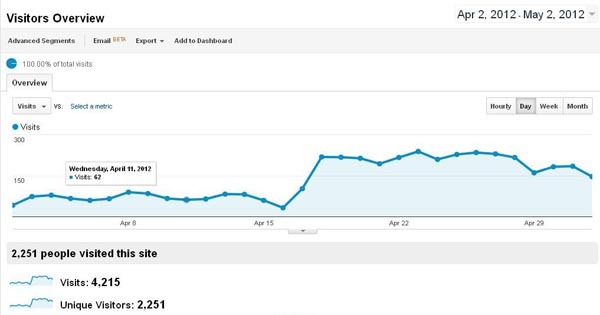 I took the time to figure out how to do all the things that Photoshelter recommended to increase web visibility, including signing up for Google Analytics. I love Photoshelter and my website. It has been a useful tool in handling my photos. However, in that time, I have only had one sale. It was a delightfully easy experience that I wanted to repeat. As a result, when Jan Keteleer invited me to join Photographers' Selection, I joined immediately. I have been watched the statistics on my site through Google Analytics. 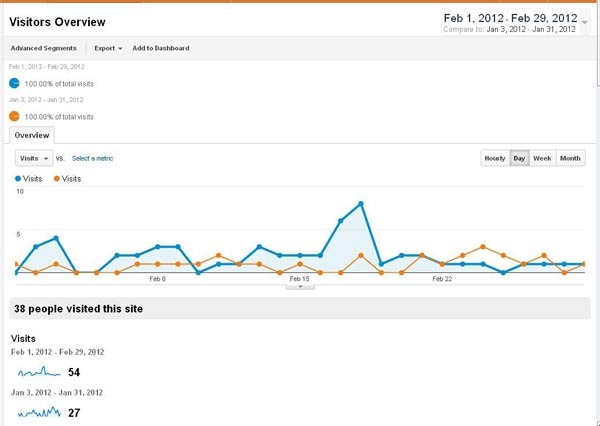 I was quite pleased to see that in February, it had 54 visits, which was double the number of visits in January. 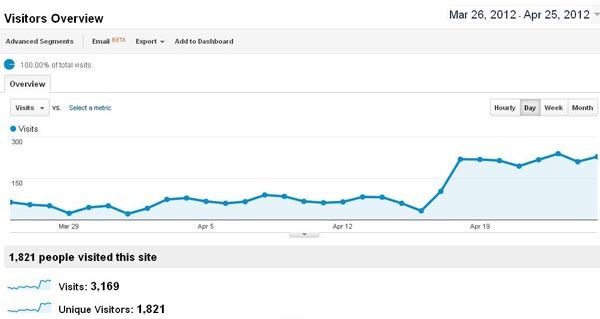 However, I was stunned the last time I checked to see that on March 23 there were 90 visits to my site, on March 25, there were 70 visits and on March 26, there were 64 visits. Those daily totals are more than my site has been getting most months in the past." Note: in January 27 visits, February 54 visits. 38 people visited this site. 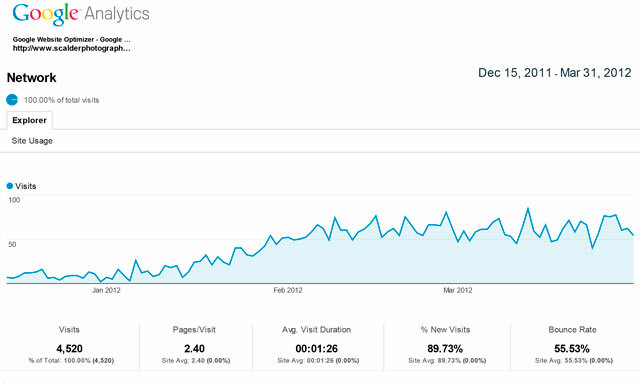 A few months ago, 27 visits now more than 4,000 visits per month.